Before I wrap things up here for the week, I'd just like to give another nod to Food Network's 30 Minute Meals host, Rachael Ray, and her new glossy, the Everyday magazine. And no, I'll not comment here again on the age-old question that's been buzzing around for far too long : Is she, or is she not a "bona fide" chef? Quite frankly...who cares? Well, yes, I'm sure some do (or seem to), but I'll just let them deal with that -- along with the valuable time that's wasted in thinking about it. Without any doubt, for anyone who wishes or cares to check out Rachael Ray's * lengthy * background in the food industry, the answer to this question remains more than clear. In any case, I'd like to mention one of Rachael's fantastically time-saving recipes that I tried out on the hubster just last night. And by the way, the big guy loved it. I think I should also mention here that my better half is the proverbial "Mikey" (if you were around in the 70s most likely you'll remember those Life cereal ads) who hates just about everything. But, this was one that he really enjoyed. Rachael also recommends either vegetable or peanut oil for this one, and not her usual "E.V.O.O" (her simple way of saying "extra-virgin olive oil") that has many of her detractors harping and moaning...constantly. And yes, trust me, I already know. Extra-virgin olive oil is just as it says, and normally reaches the point of over-heating faster than regular virgin olive oil, and therefore, will often impede the natural flavors of your ingredients when it's used for sautéing. Nevertheless, as Rachael and many of us also know, it's not always the case depending upon -- the particular dish you happen to be preparing at the time. And that's all for me here this week. Make it a great weekend. Peace. In her introduction to the first segment of The New Medicine , the late activist and champion, Dana Reeve tells viewers: "Your emotional state has a tremendous amount to do with sickness, health and well-being. For years, my husband and I lived on -- and because of -- hope. Hope continues to give me the mental strength to carry on." Read more here about this latest look into the world of medicine, from alternative to mainstream, i.e., nutritional supplements, acupuncture, massage and holistics-- that might improve a patient's overall experience while battling the most chronic diseases. 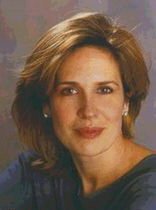 Dana Reeve was chairperson of the Christopher Reeve Foundation (CRF) and founder of the Christopher and Dana Reeve Paralysis Resource Center. She will always be remembered for her passion, strength and ceaseless courage that became her hallmark. Along with her husband Christopher, she faced adversity with grace and determination, bringing hope to millions around the world. The New Medicine airs on PBS tonight. Check your local listings for the exact time. And now for a quick (well, actually belated) mention here about this year's James Beard Foundation Awards. The recipient of the 2006 James Beard Foundation Lifetime Achievement Award is Judith Jones, Senior Editor and Vice President of Alfred A. Knopf, a division of Random House publishers. 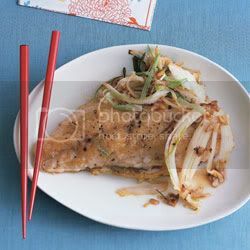 In her nearly 50-year career as a cookbook editor, Jones has worked with a long list of esteemed food writers, including Julia Child (Judith published Julia's first book and was her editor ever after), James Beard, Nancy Verde Barr, Lidia Bastianich, Marion Cunningham, Rosie Daley, Marcella Hazan, Ken Hom, Madhur Jaffrey, Irene Kuo, Edna Lewis, Scott Peacock, Joan Nathan, Jacques Pépin, Claudia Roden, Nina Simonds, and Anna Thomas, among many others. So congrats to her now on receiving this prestigious award. Read the entire press release here on this year's ceremony to be held on May 8 in New York City. Spring temperatures *all around* today for most of the U.S. according to this morning's forecast -- so get on out there and enjoy them. Good Wednesday, all. Peace. Okay, with a face as familiar -- and loved -- as his, how can we not welcome him into the already over-saturated fold, known more commonly as...(ah yeah, here comes that much-used moniker yet again)...reality TV. As well as an accomplished author of several books, he's the genial NBC Today Show weatherman we've all known and loved for years. And now Al Roker, a consummate foodie in his own right as demonstrated by the many Food Network showcases he's hosted, will be branching out into a production of his very own called, Celebrity Food Fight. Mix in two celebrities ... stir in two world-renowned chefs and a dash of audience participation and you've got a recipe for this star-studded culinary showdown, produced by Al Roker Entertainment, Inc. for the Food Network. The new reality cook-off, a one-hour special hosted by Al, will enter into its first taping with contestants Morgan Fairchild and comedian Mario Cantone ( the mere mention of multi-talented Mario Cantone's name -- is enough to prompt a lot of folks to tune into this one, I'm sure), who will be under the tutelage of Master Chefs Daniel Boulud and Todd English of the Institute for Culinary Education in New York. "We have been simmering this show in our creative culinary crock pot for more than a year and now we're ready for everybody to have a taste," Roker said in a recent press release as the show's executive producer and host. And it'll be complete with a live audience as two celebrities don chef's hats and prove that they've got the talent to out-shop and out-cook one another. Fairchild and Cantone will begin with culinary boot camp and learn to cook 5-star style in high-pressured kitchens -- with Fairchild in English's renowned Gramercy Park restaurant Olives and Cantone in Boulud's contemporary French east-side eatery Daniel. They then take their newfound skills into the grocery store and ultimately back to the kitchen set to battle it out one-on-one for the title of hottest new celebrity chef. There are time limitations, chef lifelines and plot twists to this delectable food fight in which the celebrities are judged by experts on presentation, taste, creativity, and accuracy of cooking a full-course meal. Formed in 1994, Al Roker Entertainment, Inc. (ARE) is a thriving multimedia company involved in the development and production of network, cable, home video, and public television projects. Al Roker is CEO and Lisa Sharkey is President. ARE produces programming for a diverse clientele including NBC News, Lifetime Television, A&E, The History Channel, Discovery Networks, PBS, TV ONE, Oxygen and NBC Television Stations Group. Al Roker Entertainment, Inc. clients include real estate superstar Barbara Corcoran, fitness guru Jorge Cruise, model/actor Tyson Beckford, celebrity dog trainer and handler Tamar Geller, designer Elaine Griffin, and the Wilhelmina Model agency. Kudos, Al! And best of success with Celebrity Food Fight. Check your local listing for the exact date and time of its premiere episode. Have a great Monday, all. Peace. From NY Times bestseller Sticks And Scones to Double Shot , author Diane Mott Davidson is back with her latest installment in the Goldy Bear Schulz mysteries titled, Dark Tort. And once again, proving that when it comes to the culinary whodunit -- she's the number one *diva* who always succeeds at getting the story told. In this latest offering by Davidson, I'm told protagonist Goldy Schulz has a lucrative new gig, preparing breakfasts and conference-room snacks for a local law firm. It's time-consuming, but Goldy is enjoying it -- until the night she arrives to find Dusty, the firm's paralegal, dead. This young woman also happened to be Goldy's friend and neighbor, and now Dusty's grieving mother begs Goldy to find out who murdered her daughter. And just because the police are on the case, doesn't mean Goldy can't do a little snooping herself. While catering a party at the home of one of the firm's lawyers, she manages to overhear an incriminating conversation and ends up discovering a few clues in the kitchen. Before long, Goldy is knee-deep in suspects, one of whom is very liable to cook Goldy's *ahem*... goose. In any event, if you love that cuddle-up "cozy" kind of mystery with a few mouth-watering food descriptions thrown in for good measure, this one is scheduled to officially be on the shelves by April 11th. In the meanwhile, Diane Mott Davidson is the capable author of a total of twelve best-selling novels in the Goldy Schulz series, so do check one -- or all -- of them out whenever you can. And that's about it for me here this week. Have a super weekend -- and get out there and enjoy the spring season now that it's here. Peace. First came Fake News and "Truthiness," now the publisher of Jon Stewart's best-selling America: The Book is releasing a book recently penned by -- none other than Mr. Stephen Colbert. "This book will have the same noble goal as my television show: to change the world one factual error at a time," Colbert said in a statement on Tuesday through Warner Books. Colbert's book, currently untitled, is scheduled to come out in the fall of 2007. Colbert, a longtime fixture on Stewart's Daily Show , now hosts The Colbert Report, also aired on Comedy Central. He also has a background with the written word. He contributed to America (The Book), co-authored Wigfield with Amy Sedaris and Paul Dinello and is credited with coining the word "truthiness," named Word of the Year for 2005 by the American Dialect Society (yes, there is such a society, and just to prove it here's the link). And just for the record, "truthiness" by definition, is the quality of stating concepts one wishes or believes to be true, rather than the facts. A phenomenon that I'm sure many of us are familiar with, even if you've only been paying as much as half attention for the past six years, three of them being war years -- filled with enough little "truthies" to...oh, well, you get the picture. In any event, as a regular viewer of both Stewart and Colbert, this book has definitely now been added to my "to buy" list once its released. And, if you've never caught either one of these Comedy Central shows -- you really should. Funny stuff, as well as some great interviews with quite a few notables who come on for a brief sit-down segment as guests. Make it a good spring Wednesday, all. The weekend's almost here. Peace. Yes, Diddy is in the house, and he's also in the kitchen now for Celebrity Cooking Showdown, a five-night reality (yes, that's right, another one) miniseries being prepped and made ready as I type this by NBC for an April debut. Jeez, at this rate, give us another two or three years -- and sitcoms and TV new shows will be a total thing of the past. Ya think?? In any event, on board with Diddy in this venture is Ben Silverman (The Biggest Loser, The Restaurant) and David A. Hurwitz (Fear Factor). And blending elements of Food Network's Iron Chef America and ABC's Dancing With the Stars, the show will pair superstar chefs with celebs in a weeklong cooking competition. Culinary titans Wolfgang Puck, Cat Cora (Food Network's Kitchen Accomplished) and Govind Armstrong (executive chef at Table 8 in L.A.) have signed on to help tutor celebs in preparation for culinary battle. The first three episodes of the series will feature each of the three chefs tutoring a celeb and training them for their moment in the spotlight. Celebs will then face off against each other in a timed competition to create a three-course meal. Trust me, guys…this one ought to be nothing short of entertaining, if nothing else. So stay tuned. 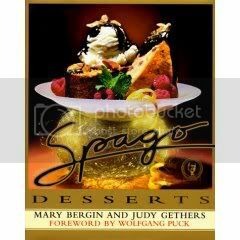 And speaking of Wolfgang Puck, owner of the trendy Spago Restaurant among several others, I'll take this opportunity to plug a totally* terrific* book called Spago Desserts, which outlines in detail how to make some of the most delicious Spago-style pastries you can imagine. Written by Spago pastry chef, Mary Bergin and food writer, Judy Gethers, the recipes in this cookbook include the standard techniques that a good pastry chef should have -- not discounting the talents of those of us who do it -- at home. Spring is finally here today, gang (and regardless of how I'm freezing my natural bejazzies off here in NYC today!). So let's all make it a good Monday and an even better first-sign-of-spring week. Peace. And for choosing a dish of good Irish flavor today, my vote would be for one from famed author, Gordon Snell, and his Rhyming Irish Cookbook , which also happens to be one of the long-standing favorites on my own personal cookbook shelf. An Irish cookbook that's all in rhyme with old favorites from days gone by like Dublin Coddle, Irish Stew, Barm Brack and Colcannon, Irish Coffee, Nettle Soup, Trout baked with wine -- and more. It's fun and yet the recipes are amazingly easy to follow. Practical and entertaining with new and old starters, main courses, desserts and drinks -- all told in amusing verse, with a wee bit of the blarney thrown in for good measure, of course (well, just a smidge, actually). Gordon Snell has written many books for children as well as comedy and satire for adults. He lives in Dublin with his wife, best-selling author, Maeve Binchy. So Erin Go Bragh and have a great weekend, one and all. And of course, for all those of you who'll be popping over to Fifth Avenue later today here in NYC -- Enjoy the parade! Peace. Congratulations to Northshire Books , this year's winner of Publishers Weekly's Bookseller Of The Year Award. Owned by Ed and Barbara Morrow, the bookstore is currently celebrating its 30th year in business, and was originally nominated for this award by Random House sales representative, Rebecca Fitting. And certainly, there's no doubt in my mind -- that it will be on my list of places to visit on my very *next* trip up north. God, if only we had more of these…instead of the mega, mass, super-duper bricks and mortar "Next!" brand of booksellers that seem to have taken over the kinder, gentler, make-yourself-at-home days of bookstores and their surroundings. Clearly, the picture of Northshire shown above, just says it all. In 1976, the two owners came to Manchester Center, Vermont to start an independent bookstore in a beautiful New England town. Starting out on a very small scale, they were immediately embraced by the community as a needed resource for books, music, stationery, cards, and more as they grew -- and grow they did. Within two years, they had added a floor just for children’s books, and in 1985 they converted the old Colburn Inn in the center of town into what became a physical space filled to the brim with books, music and other items. In 1996, they expanded their vision once again and started The Next Chapter, for used, out-of-print and rare books. In 2003, they expanded -- yet again. This time virtually doubling their space, expanding book sections and creating a wonderfully spacious environment for, yes…just browsin'. Read more here about Northshire, and the other winners of Publishers Weekly's 14th Annual Bookseller and Sales Rep Of The Year awards. And just when I promised myself I'd never get sucked back into the sometimes murky waters of "reality TV" (okay, okay...and HBO series like the Sopranos that also keep me glued to a cable TV channel for sixty valuable minutes when I could be using that time for writing -- and yes, I DID watch the season opener last night. BANG!) the Bravo Network has now debuted the first of its 10 episodes of the one-hour reality competition Top Chef, which offers a window into the competitive, pressure-filled environment of world-class cookery and the restaurant business. Hosted by Katie Lee Joel, food columnist for Hamptons Magazine and wife of Piano Man, Billy Joel, the series features 12 aspiring chefs (of varied culinary backgrounds) who head to San Francisco for their shot at culinary stardom and the chance to earn the prestigious title of Top Chef. "Bravo provides a definitive voice and perspective to creative disciplines, and Top Chef delivers a delicious look at the fiercely competitive world of the culinary arts," the network's president Lauren Zalaznick said recently. "We will be introducing some unique and extreme personalities that will not only reveal their dedication and high standards to make it to the top of this intense discipline -- but also will create some truly intense, nail-biting drama." And each new episode of Top Chef holds two challenges for the chefs: a) The first is a quickfire test of their basic abilities and, b) the second is an elimination challenge designed to test their versatility and invention as they take on culinary trials such as working with unusual and exotic foods or catering for a range of demanding clients. The food will be tasted and evaluated by the host and judges, but will also be served to customers, whether it be patrons at a five-star restaurant or a room full of hungry kids. On the judges' panel for last week's episode was Hubert Keller, owner and executive chef of the Fleur De Lys Restaurant in San Francisco, and noted author of The Cuisine Of Hubert Keller. What was also quite interesting for me, was to see how one of the contestants stuck his finger in a sauce preparation for a taste-test while showing his abilities at working on the "line," then protested the fact that Chef Keller very politely asked him to leave the line. Hey, come on now... as Chef Keller told you, in his kitchen (and many others -- including mine!) that's just plain old nasty, dude. It's also what they make spoon utensils for. And, it's regardless of whether or not Chef Keller would have actually been prepared to dump the entire pot of already-made sauce after your wee little digit was dunked in there -- the point you proceeded to repeatedly *question* him on, afterward. In any event, the "winning" chef left standing after all others have been sent packing (chef knives in tow)in this 10-week odyssey will receive $100,000 in seed money to help encourage their culinary career, be featured in Food & Wine magazine, appear at the Food & Wine Classic in Aspen in June 2006, and earn the title of Top Chef. And simply judging from the first episode, and sans all the maniacal rantings and rave-a-thons(for added effect, no doubt) in a similar series competition about a year or so ago called "Hell's Kitchen," I think Top Chef will be giving us a slightly more realistic look into the inner workings of restaurant kitchens, making the competitiveness among these contestants far more...intriguing. So check your local listings – and do check this one out whenever you can. 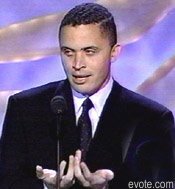 Imagine for a moment, an awards show where there's no style reporter doing a red carpet analysis of what the nominees and presenters are wearing. Or, perhaps an awards show where the participants are brilliant artists who, at most times, are able to move about through restaurants and theaters in Manhattan and the rest of the world in total anonymity. Or, how about an awards event where professorial editors and family replace anxious agents and managers? Where all you'd see were sensible shoes and basic booze -- in place of Xanax, Vera Wang, and Botox, and acceptance speeches aren't words-for-hire but words that were actually penned by the winners -- themselves? Well, come April 27, 2006 there will be such an event when the Grand Hyatt Hotel here in New York plays host to the Edgar Awards, where the world's greatest mystery and crime writers get the recognition they deserve, through an awards ceremony that was named after -- yes, that's right -- the legendary bard and literary critic himself, Mr. Edgar Allan Poe. What's that, you ask? No Isaac Mizrahi or Joan and Melissa...at all?? No, and trust me, they can pretty much -- guarantee it. You can read more here about this annual event, celebrating the year's best among the mystery and crime novels, short stories, screenplays, teleplays, etc., many of us have already seen or read, as well as know... and love. For more information, you can download a full brochure for this and other events at The International Women's Writing Guild events page at our website. While trying to steer clear of the kind of polemics that can sometimes even be a "good thing" when kept in its rightful place and context, regarding the recent flap over the daily operations of six of our U.S. ports being turned over to Dubai Ports World in the United Arab Emirates (mind you, two of those ports being right here in my very own September 11th backyard of New York City), I'm in firm agreement with the recent sentiments of Rep. Harold Ford, Jr. of Tennessee. Congressman Ford unequivocally states: "A nation's government is as good as its ability to defend, fund and take care of itself. By that metric, the United States is not measuring up." And by this, I think the good congressman has hit the nail squarely on the head. With a reported 80% of terminal leases on the West Coast being overseen by companies based outside the U.S. -- and for years -- needless to say, we haven't been measuring up for quite some time on this particular issue. The UAE, while helpful in the fight against terrorism today, still does not recognize Israel, was home to two of the 9/11 hijackers and was one of only three nations in the world to recognize formally the Taliban. Need anyone really say more???? As Congressman Ford has also stated: "We outsource the job of supplying our homes and businesses with energy by importing 12.5 million barrels of oil every day. We outsource the job of providing our nation with the capital it needs to drive innovation and provide basic social services by borrowing $615,000 every minute, much of it from countries who do not see the world as we do. Now, with news of the Bush administration's approval of the transfer of operations at ports in New York, New Jersey, Baltimore, Philadelphia, New Orleans and Miami to a state-owned company located in the United Arab Emirates, we are outsourcing the job of keeping our nation's ports secure. At some point, enough is enough." Clearly, and with all due respect to the Bush Administration, in the final analysis the bottom line is this: He is *dead* wrong on this issue. This is not a Democrat or a Republican issue. This is a security issue. Delaying this deal is simply not good enough. And yes...I know Congressman Ford is now a full-fledged candidate for the senatorial race in Tennessee. However, I think it's also pretty clear that a New Yorker like me would in no way be of any political help to him come election day. Therefore, now that I've established the obvious fact that I am neither one of his constituents, nor a: VOTE FOR FORD FOR THE US SENATE enthusiast (even though, if I did live in the state of Tennessee -- I'm almost certain that I probably would be), my support of his position on the U.S. port security issue, is solely based on the fact that, for me, the man just makes SENSE. The big wins for the night, of course, were for Reese Witherspoon as country singer June Carter in "Walk the Line" and Philip Seymour Hoffman as author Truman Capote in "Capote," winning in the best actress/best actor Academy Award categories. And yes, I know I've said it here before -- but feel compelled to say it again... Philip Seymour Hoffman was twelve kinds of flippin' BRILLIANT in his portrayal of author and A-list celebrity, Truman Capote. But of course, the Golden Globe award he won for this role had pretty much already proven this, hands down. Thankfully, I was able to catch Reese Witherspoon do an equally great job as June Carter Cash in Walk The Line opposite Joaquin Phoenix a few months ago, who I also thought was excellent in the role of the late Johnny Cash. By the way, it was also a good year for George Clooney -- and glad to see him take home an award for Syriana. Congrats to all the night's winners. Before having to scoot out of here this week (sorry, lots and lots of writing work on my plate this weekend, folks) I just wanted to very briefly mention the huge lesson in humility that hopefully was learned with this past week's voting outcome on AI. And for all of you who watch this competition, I'm sure you already know what I mean regarding last night's Final 20 elimination round. I just think it's an unfortunate pity that where there definitely appears to be a certain degree of talent and some potential, it misguidedly becomes marred by swell-headedness and a vast disregard for overall common sense -- while relying on "America" to turn a blind eye to this when picking up their phones to cast their votes on your performance. What's "cute" for a while, often becomes downright unattractive and tiresome in the end, guys. And as always, America voted this past week -- and once again -- proved this to be true. In any case, best of luck to the remaining 16 elimination round contestants next week. And yes, as promised, after next week I'll be revealing my personal 2 top picks to win in the final 12. Make it a great weekend all, Peace. Come on, foodies, admit it...ever wonder what Emeril Lagasse himself makes for a late night snack? How about what Rachael Ray cooks up when she's feeling romantic? (With a bubbly onscreen persona like hers, wouldn't you think she'd have a bit of a personal romantic side all her own?) And what influence did Dino DeLaurentiis have on his granddaughter, Giada? (That of all things...made her decide on a career in food) Well, that's the premise behind Chefography, Food Network's 5-part profile of its most popular personalities, their lives behind the scenes -- as well as their author side -- with the cookbooks and various other books they've written, further making them a household name. We'll enter their homes and learn from friends and family where they find inspiration and what they do when they're not shooting a television series or standing in the spotlight. It's starting the week of March 13th, with Emeril's profile and journey to success being the first up of the series.